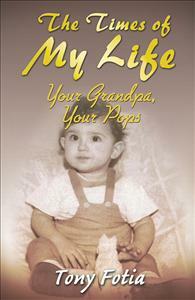 “The Times of My Life” is a collection of stories, quips and accounts of my life. From growing up in a small town neighborhood, through my teenage years, sports interests, education, employment and family life. My military life, depicts the good and bad of war. The good being the conclusion of war. I matured rapidly while in the military with an important life changing event during my final days in Vietnam. Marrying the most important person in my life, giving me love and understanding. We share the rest of our lives with our children and grandchildren.